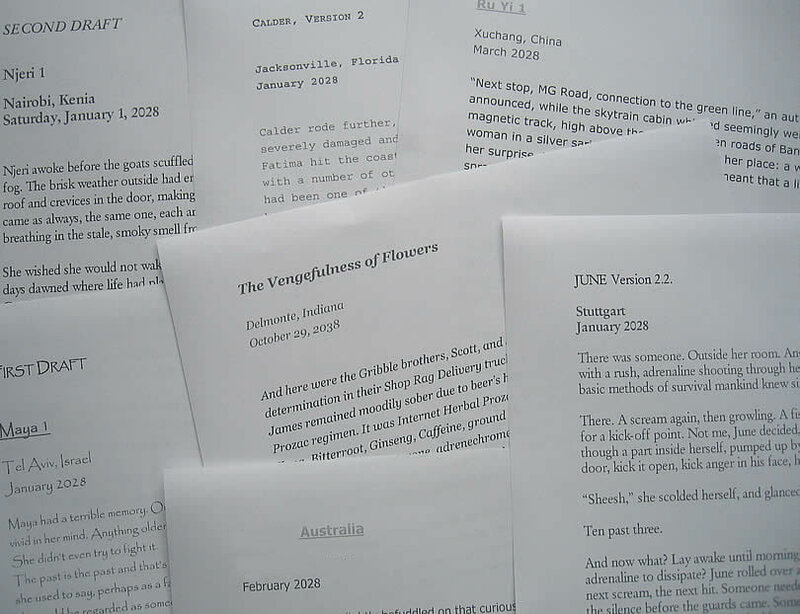 In January 2007, seven auhors who met in the borderless world of literary e-zines initiated an international group writing project. The idea of the project: to develop a future vision of our world caught in a global ecological crises, a world of flowers turning grey. Since January 2007, the story developed steadily in unexpected patterns and shapes, with each author reflecting on his/her own culture and continent while interweaving the different storylines and settings into one novel. Now, in May 2009, the story is moving towards completion. 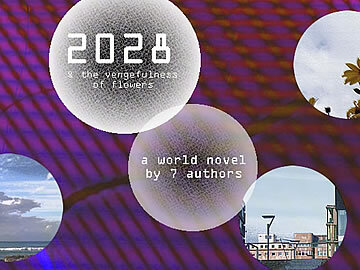 It's working title is: “2028 - a world novel”. Please note that the 2028 project, just like this page, is a work in progress.